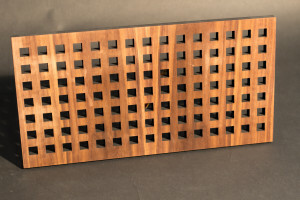 This is a laser cut grating or grill cover. 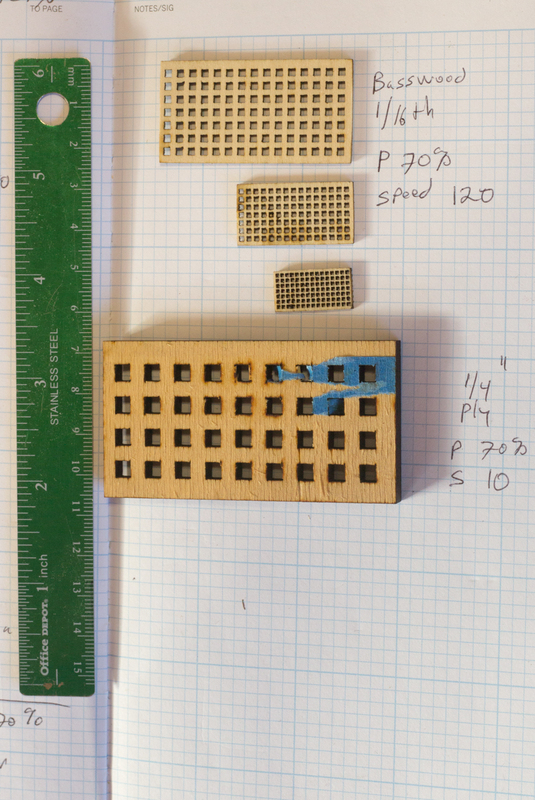 The holes are 1/2″. 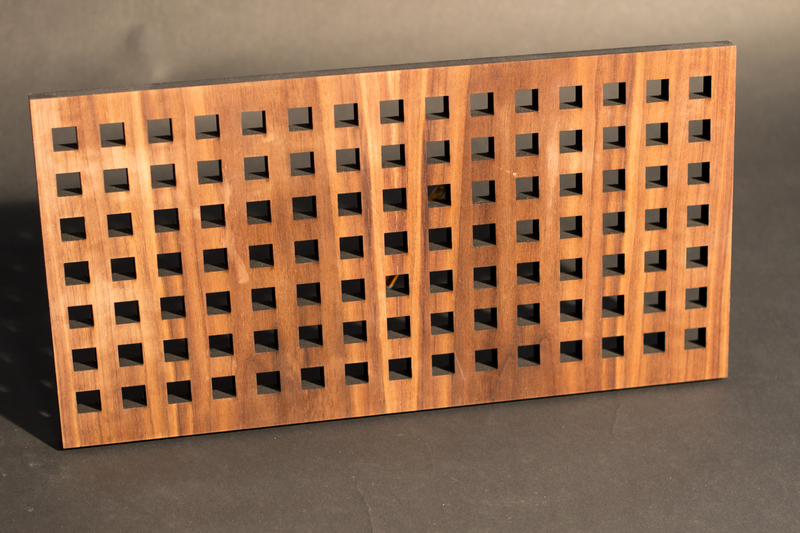 This is a walnut veneer over an MDF core. Ed then suggested that I make smaller versions suitable for model boats, and he took them to the model boat club where several were snapped up by eager boat builders. 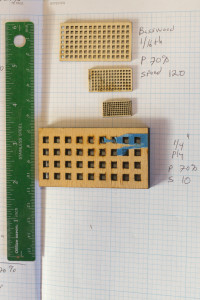 Making architectural trim details for model makers and doll houses would be an easy next step.